Few things can be as frustrating as waking up in the middle of the night unable to fall back asleep. This phenomenon, called middle of the night insomnia (aka middle insomnia), is described as being able to fall asleep with no issue only to wake sometime later unable to return to your dreams. If you are lucky enough to fight through the insomnia and eventually fall back asleep, chances are, once your alarm goes off, you’ll be waking up feeling groggy, irritable and unable to function. Thankfully, there are a few underlying reasons you may be afflicted with middle insomnia and a number of all-natural remedies to try to combat it. 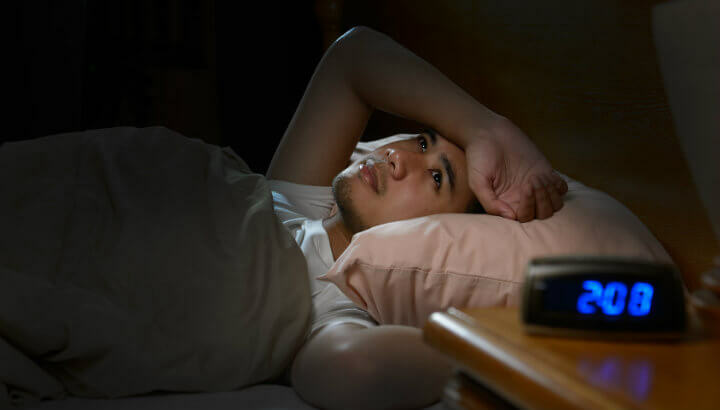 While middle insomnia may be classified as a mild sleep disorder, sometimes it can be the result of a larger physical disorder, such as sleep apnea. Sleep apnea is a common disorder that causes the upper airways to become blocked repeatedly throughout the night. This causes the individual to take “pauses” while breathing, sometimes up to ten seconds in length. 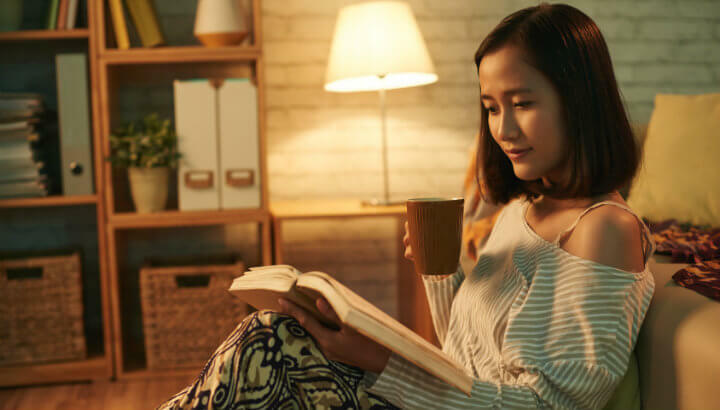 Over the course of the night, these multiple pauses can deplete the brain of oxygen which can lead to memory and mood issues, hypertension and cardiovascular problems. Insomnia can happen in the middle of the night, too! If you think you may have sleep apnea, there are some signs to look out for as well as a test that can be performed by a physician. In serious cases of sleep apnea, a breathing machine, medication or surgery may be prescribed. As we age, sleep tends to become lighter with more wake-ups throughout the night. This may be the result of more frequent bathroom breaks caused by an enlarged prostate in older men or blood pressure medications which sometimes act as diuretics. Women who are experiencing hormonal changes either right before their menstruation cycle or those going through menopause may find their sleep disrupted by night sweats, an increased heart rate or abdominal cramping. Pregnant women are also at risk to experience middle insomnia caused by fetal activity, heartburn, leg cramps and vivid dreams. The noise from the street outside your bedroom window or the blue light of your alarm clock casting a glow over your bedside table may be partly to blame for why you’re waking up in the middle of the night. While some things may be out of your control (especially for those who live in crowded cities), the goal should be to make your bedroom as dark and cave-like as possible. Try turning the alarm clock away from you or putting a towel over it to block the light. Invest in thicker curtains or blackout shades to prevent even a sliver of light from coming through the window. If you have a partner who tends to snore loudly, think about investing in an inexpensive noise canceling machine. Additionally, the choices you make throughout the day, even hours before getting into bed, can have dramatic impacts on your sleep schedule. Try to eliminate all caffeine at least eight hours before bed and avoid going directly to bed after a heavy meal. Alcohol and nicotine can act as stimulants with delayed reactions, which may explain why individuals who consume too much may fall asleep quickly but never fully reach REM sleep (the deepest sleep state). Much as we hate to admit it, we’ve all been guilty at some point of bringing the problems and stresses of the day with us to bed. Whether it’s troubles at work, a loved one’s illness or something as small as a snide comment made in your direction, it’s hard to just shut your brain off once you lay down and close your eyes. In fact, for most of us, laying in bed feels like the time our brain is the most active. Mix that with the overanalyzing we tend to do in stressful situations and you’re bound to be stuck on a loop of “stress causing insomnia, insomnia causing stress.” If you’re prone to anxiety, you may experience feelings of stress and unease when you’re up in the middle of the night wondering if you’ll ever fall back asleep in time to feel rested for the next day. Thankfully, there are a number of natural remedies you can try to alleviate, if not eliminate, waking up in the middle of the night. However, it is important to note that, much like middle insomnia, these are not “one size fits all” remedies — with a little trial-and-error you should be able to find the solution that will have you off to dreamland in no time. Here at The Alternative Daily, we are huge proponents of meditation and the incredible impacts it can have on your body and brain. Meditation has been studied for its ability to help treat sufferers of chronic insomnia by allowing them to refocus their thoughts and calm anxiety. Meditation can be thought of much in the same way as exercise for its potential to boost your mood and eliminate belly fat; but, much like exercise, meditation takes dedication and practice in order to yield results. Try reading by a low light if you wake up in the middle of the night. If you’re new to meditation you may find that trying to lay in stillness and clear your mind is too difficult — and if you’re attempting to do this while wide-awake at three o’clock in the morning, you may end up more frustrated than before. Instead, look for a calming meditative activity you can do, even for a few minutes, to try and refocus your brain. This can be something as simple as light cleaning around your home (careful not to wake up family members! ), listening to a relaxing podcast or reading your favorite book under a low light. Anything that you can do to take your mind off of your insomnia should help to make you feel tired enough to go back to bed. 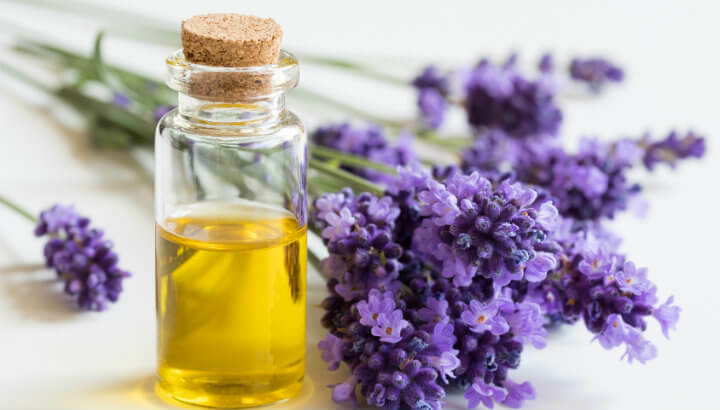 Lavender oil, believed by some to be the most versatile essential oil available, has been scientifically proven to help sufferers of anxiety and individuals with insomnia. Lavender’s soothing scent is calming and relaxing, which explains why manufacturers have put it into everything from candles and cleaning products to room sprays and beauty products. For an immediate feeling of calm, put one to two drops of lavender essential oil (look for 100% Pure or therapeutic-grade) into the palm of your hand and breathe deeply. You can also mix a few drops of essential oil with coconut oil and apply directly to your wrists, temples and the bottoms of your feet to allow the essence to work all over you. Lavender oil can help with insomnia. Another great way to use lavender essential oil is by mixing up a relaxing linen spray you can use on your pillows and bedding before climbing into bed. This will allow you to begin experiencing the positive effects of lavender even before you close your eyes. Combine all ingredients in a reusable spray bottle. Shake well and mist the mixture onto your pillows, bedding and surrounding areas before sleep. As much as you may be tempted to have a glass of wine in hopes it will relax you, middle of the night insomnia is no time to be playing bartender. Instead, opt for a soothing hot beverage which is believed to mimic the effects of taking a warm bath. The most common bedtime tea is camomile tea, which is widely used as a mild sedative. Valerian tea and caffeine-free green tea have also been known to aid in falling asleep. If you’re looking for something a bit different for your bedtime cocktail, look no further than golden milk, long revered in the Ayurvedic medicine of India to treat colds, depression and sleep disorders. 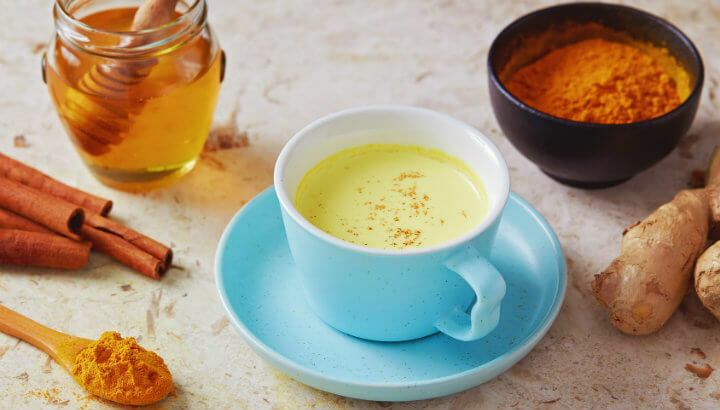 Made with a mixture of anti-inflammatory powerhouses turmeric, ginger and raw honey (see recipe below), this slightly spicy and warming concoction is ideal before bed or anytime you need to relax. Try golden milk before bed if you have insomnia. Mix all ingredients, except butter, together using a high-powered blender or a hand-held immersion blend for 1-minute. Transfer contents to small saucepan and warm, uncovered, over medium heat. As mixture begins to warm, add butter and stir to combine. Be careful not to overheat as this will kill the nutrients in the honey. Remove from heat and let steep 3-5 minutes. Slowly strain mixture into two cups and serve warm. What are some proven ways you’ve found that have helped with insomnia? Tell us in the comments section! Hey Buddy!, I found this information for you: "5 Reasons You’re Waking Up In The Middle Of The Night (And How To Fix It)". Here is the website link: https://www.thealternativedaily.com/5-reasons-you-wake-up-in-the-middle-of-the-night-and-how-to-fix-it/. Thank you.